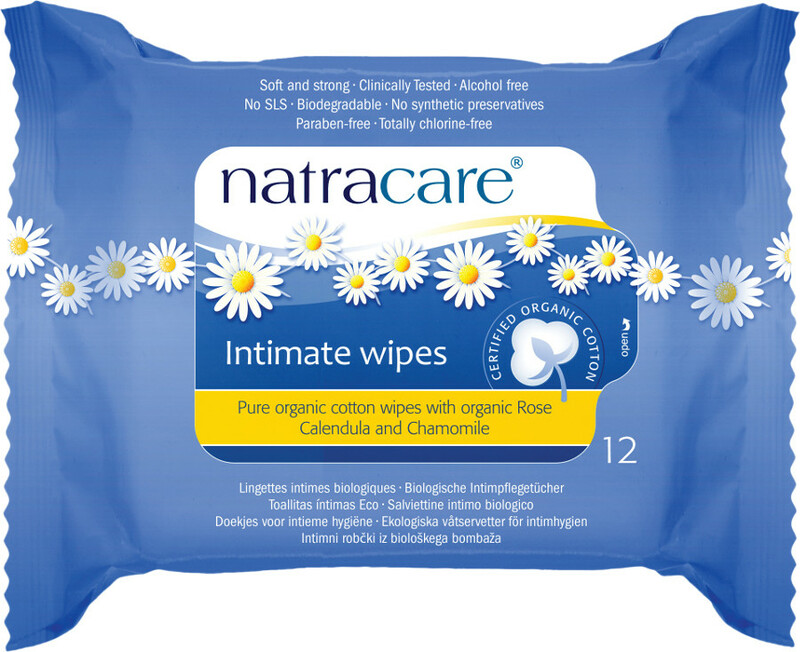 For everyday freshness, during your period, or when travelling, Natracare certified Organic Cotton Intimate wipes are the ideal choice. Enriched with Calendula and Chamomile, these wipes give gentle cleansing for delicate skin. Choosing Natracare Organic Cotton Intimate wipes allows you to avoid materials derived from petrochemicals, damaging preservatives, and many potentially skin irritating ingredients. Instead Natracare uses organic essential oils and ingredients derived from plants so that you can be sure these wipes are fresh, clean and organic. Certified organic 100% pure cotton by ICEA/IMO. Dermatologically tested on Human skin. Not tested on animals; suitable for vegans. Chlorine free; Paraben free; SLS free; Alcohol free. The Natracare Organic Cotton Intimate Wipes product ethics are indicated below. To learn more about these product ethics and to see related products, follow the links below. Use as alternative to bidet when away from home. A marvellous item to have when one is out and about, especially on certain days. Won't damage intimate female area. or damage the planet either. A winner! There are currently no questions to display about Natracare Organic Cotton Intimate Wipes.